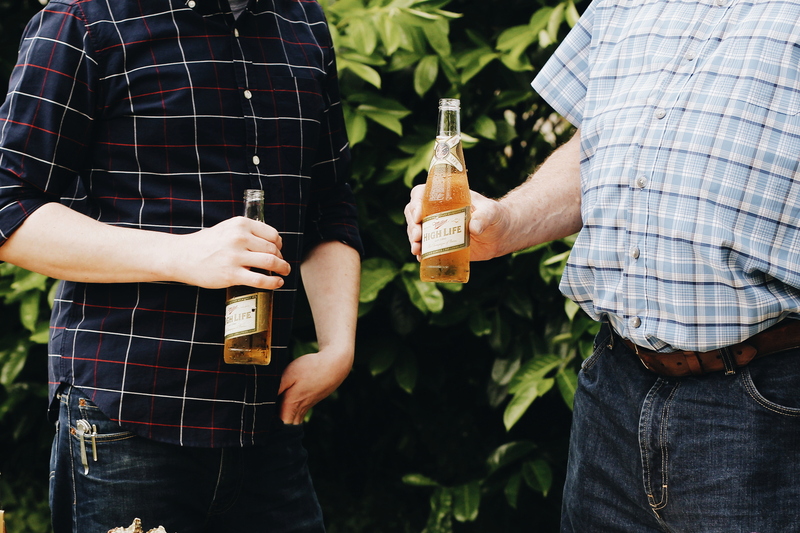 Spending time with Dad isn’t about putting on the ritz. 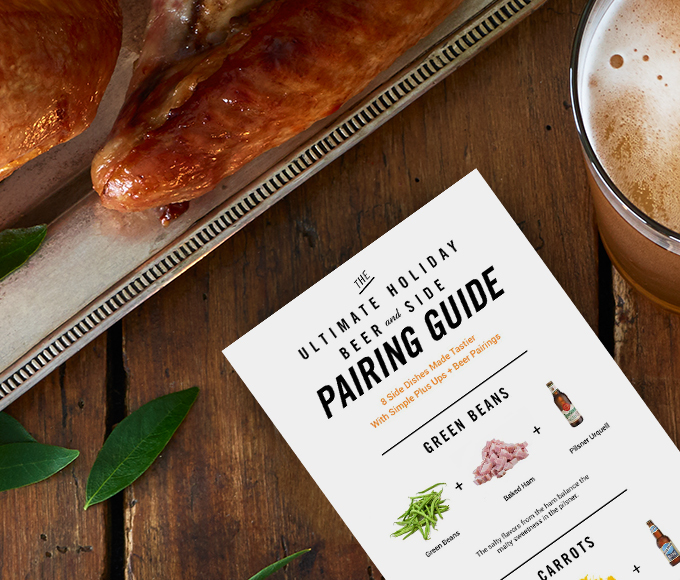 Save fussy meals and elaborate activities for another holiday. For Father’s Day, I suggest keeping it simple, so the focus can stay on enjoying each other. That’s why I’m preparing a simple but well-thought out Father’s Day meal. 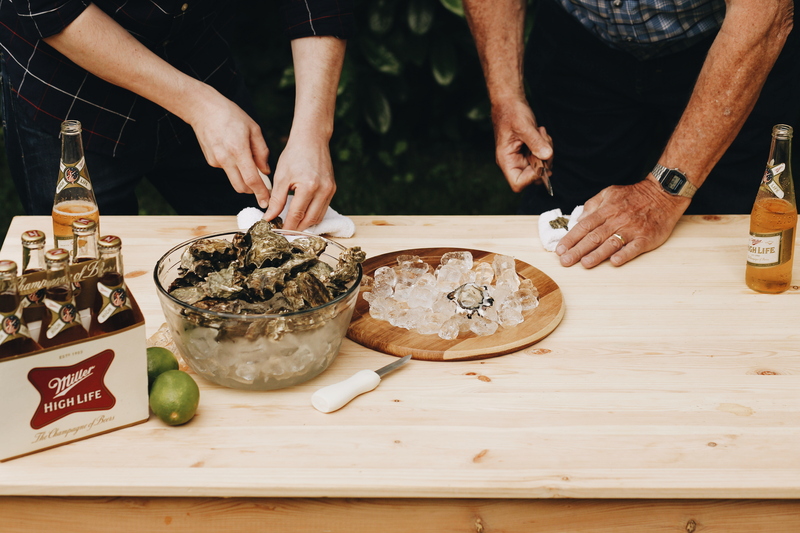 We’re putting together a simple gift, shucking oysters and building a delicious DIY steak sandwich. We’re also treating Dad to his favorite food—oysters. 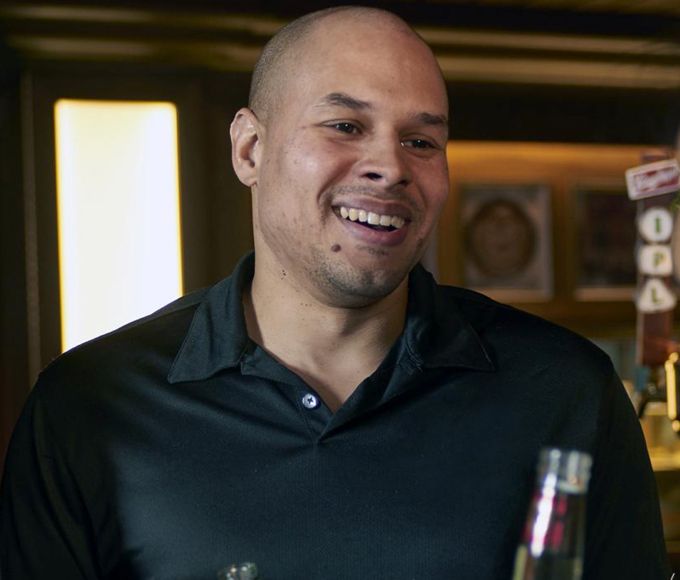 The carbonation of Miller High Life makes it the perfect match for oysters. We’ll be shucking them outdoors with friends and family, so I added two new oyster knives to the 6-pack. Best to throw in a little handwritten note in there for later too. Meals and parties are always better when you can get everyone involved. 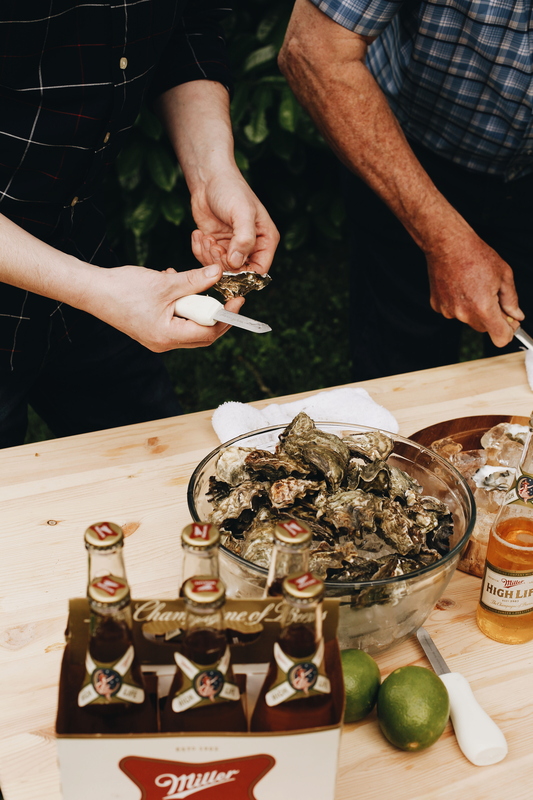 One of Dad’s favorite foods is oysters on the half shell, so we will be shucking them together and serving them fresh out of the shells for ourselves and guests while we enjoy a cold beer. It’s a simple menu that leaves more time for relaxing and enjoying each others’ company. To give the oysters a bit more flavor, we’re creating a Mignonette with the beer. Step 1: Shuck the oysters and keep on ice until they are ready to be served. Step 3: On a platter or large plate sprinkle a layer of crushed ice and serve shucked oysters on ice. 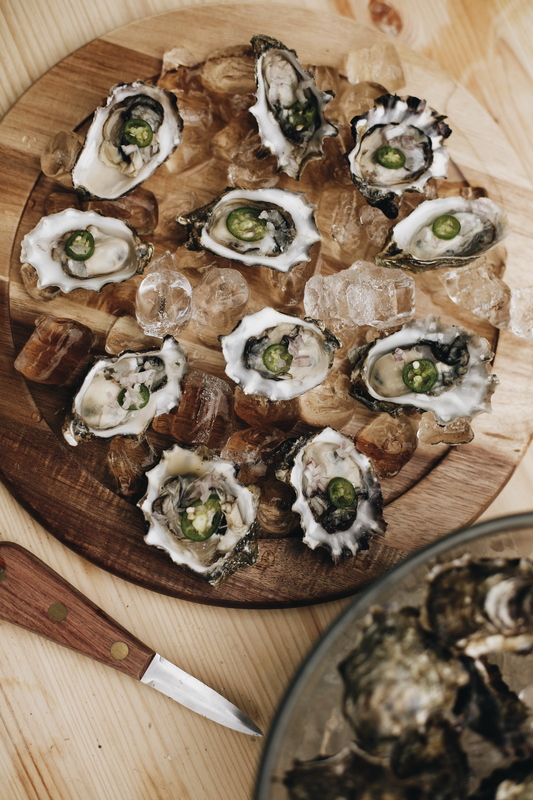 Drizzle mignonette onto oysters and garnish with ½ a cup of shallots and serrano pepper slices (optional). 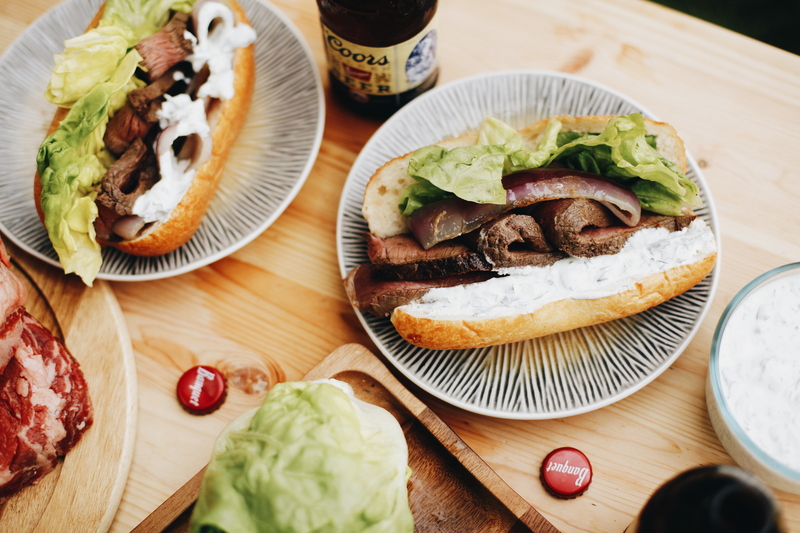 Dad is a big fan of steak but in the spirit of keeping things simple and low key, we decided to do a DIY steak sandwich bar. We’re making a Grilled Rib Eye Steak Sandwich with Herbed Horseradish Sauce using Coors Banquet. Step 1: Oil, season and grill steaks and red onion slices and set aside to rest. Step 2: In a small bowl combine all sauce ingredients (recipe below) and mix well. 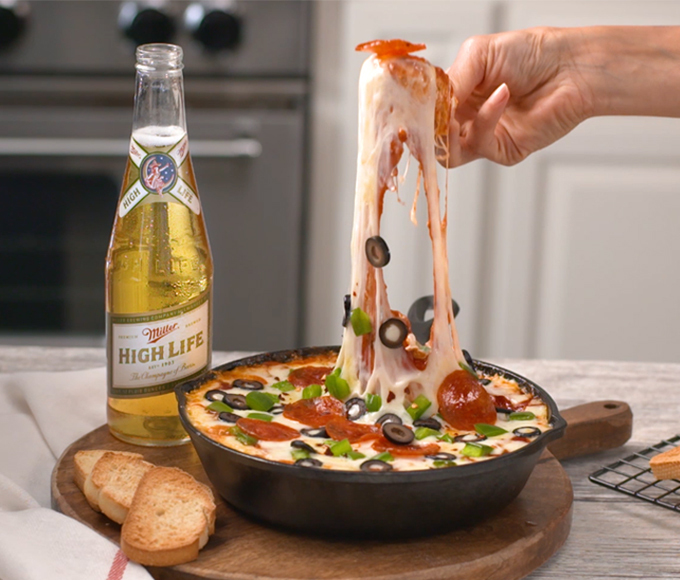 Add more beer to thin sauce to desired consistency. Salt and pepper to taste. Step 3: Split hoagie rolls lengthwise and warm on grill. Separate bibb lettuce leaves for garnish. Step 4: Assemble ingredients onto hoagie rolls and spread Beer sauce liberally onto both sides of each roll. Step 5: Enjoy with an ice cold beer! 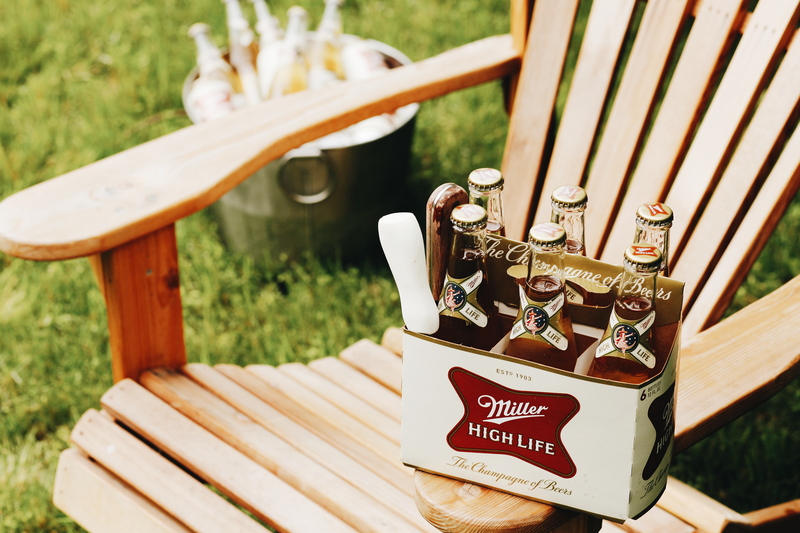 Once the oysters are shucked and DIY steak bar is set-up, kick-back and enjoy some quality time with Dad.